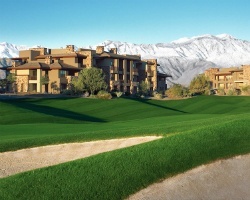 Tucked away in the desert mountains of Southern California lives an unforgettable getaway called Westin Desert Willows. With beautifully constructed golf courses, refreshing pools, and a great view of the atmosphere, Westin Desert Willow is truly paradise. Find affordable Westin Desert Willows Villas timeshare resales rentals at up to 70% off the retail price here! Westin Desert Willow Villas is truly an unbelievable getaway, sitting amidst the secluded, yet scenic desert of Southern California. Surrounded by majestic mountains, miles of warm desert, and close to some amazing Palm Desert attractions, Westin Desert Willow Villas is prime location for some amazing adventures. It’s a much sought-after golf destination, with amazing courses like the Desert Willow Golf Resort, Marriott’s Shadow Ridge Golf Club, and more. Take a day and explore the desert in a hummer or red jeep tour, where you’ll cruise through the plains of Palm Springs for a scenic, mind-blowing adventure. Palm Springs is also well-known for their amazing spas; consider enlisting for a session or two at some of the amazing spas like the Maui Massage Spa. Whether you’re vacationing with the kids or you're on a romantic rendezvous, Westin Desert Willow Villas, Palm Desert is the right place for you. Spend time at the secluded Palo Verde Park and Pool, where you can take a dip in the refreshing pool, kick back in a whirlpool spa, or have a cocktail and a snack at one of the well-appointed cabanas. Grilling areas are also available for barbecues on some natural gas grills. 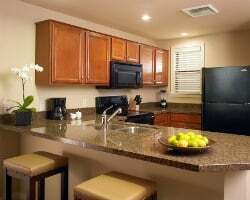 Tennis enthusiasts will also love the two outdoor, lighted tennis courts, and a game room will service anyone looking to escape the California sun for a few hours. Desert Willow Villas offers a Westin Kids Club, which will allow kids some time to mingle with others in an interactive group while the adults take a well-deserved break at the Late Departure Lounge. Learn more about Westin Willows Palm Desert today by contacting one of our timeshare resale specialists today at 1-877-815-4227. You can also fill out the form on the right and request more information on this wonderful resort. Avoid dealing with the red tape of purchasing a Westin Desert Willows timeshare through the developer. You can buy or rent Westin Desert Willow Villas on the secondary market and save thousands of dollars when you deal directly with the current owner. No hidden or upfront fees; the price is evaluated fairly by the current trends of the resale market. Fixed or floating weeks are available for you depending on how flexible you’re willing to be with scheduling your vacation time. Usage of your timeshare week can be annual or biennial, including Gold, Gold Plus, Platinum, and Platinum Plus seasons. Ownership is deeded, which means that you own the rights to your property for life. Westin Resorts is one of the few notorious brands in the Starwood Vacation Ownership catalog. The Starwood Vacation Network has maintained luxurious, high quality resorts all over North America and the Caribbean for over 30 years. 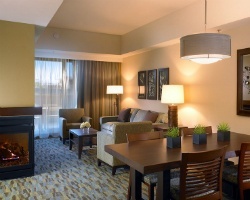 Westin has adopted Starwood’s allegiance to great housing options at unbeatable prices. Learn more at our Starwood Information Center. If you’re interested in exchanging your timeshare for a special one-off vacation somewhere else, Westin Desert Willow timeshare owners can purchase a membership to Interval International for an additional fee. Interval International hosts 2 million members, over 2,900 affiliated resorts in over 80 countries, and is the second largest external timeshare exchange company in the industry. Westin Desert Willows timeshare owners need only to submit their timeshare, and they’ll have access to properties all over the world. Because Westin Desert Willows is an Interval International Elite Resort, you’ll have unprecedented options for exchanging since this resort property is in such high demand. The friendly staff at Westin Desert Willows is always on hand to help you with any of your needs or concerns during your vacation. The concierge services are celebrated by guests as being incredibly informed about the area, and know exactly where to send you for restaurants, shows, activities, and attractions based on the type of vacation you’re interested in having. A great place to start is traveling to some of Palm Springs' scenic parks like Joshua Tree National Park and Mount San Jacinto State Park. Take the kids over to the Living Desert Zoo & Gardens or have them cool off at the Palm Desert Aquatic Center. Looking for a bite to eat? Many restaurants serve some amazing cuisine including The Agave Bar and Grill, Cork Tree California Cuisine, and Sherman’s Deli. Already Own at Westin Desert Willow Villas?